These five-minute devotions cheer your heart any time you need a word of encouragement. 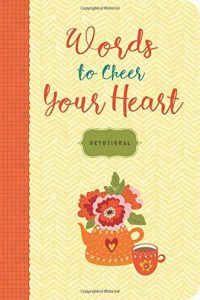 This sweet devotional will cheer your spirit and bring encouragement in the midst of the most challenging day. Whatever is troubling your heart, the warm words in this book, paired with quotes and Scripture, will help you find the strength and determination to face any obstacle.